Hungary isn’t exactly your biggest Metal supplier. However, there are some great bands that have managed to export their good quality Metal, like Ektomorf (did I just say “good quality” Metal?? ), Wall Of Sleep (did I just say “export” their Metal??). In fact, no, there are VERY few famous Metal bands from Hungary, and Superbutt is probably the most exiting one of them. Their new album, Music For Animals is a damn fine piece of heavy rock that sounds like nothing you’ve heard before. Think Ozzy-like Metal; made of insane heavy riffs and super powerful vocals. 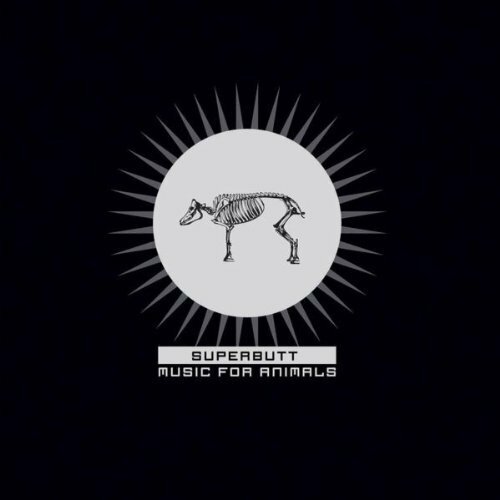 Fantastic singer András Vörös tells THE METAL BLOG a little more about Superbutt, it’s new record, and truckloads of other interesting things. Music For Animals was released a couple of months ago in France, although it’s been out a long time in the rest of Europe, what happened? Andras: Nothing special, just simple practical reasons. We have a new upcoming label (Sonic Attack) with their headquarters in Berlin, and first they wanted to focus on the territories which they are more familiar with, so it took a couple of month until the physical distribution and promotion could start in other important countries, like France. But then again, does anyone really care about physical distribution in the 21st century? Whether you can buy Music For Animals at record stores or not, if someone is interested, they can get it through the internet from anywhere around the world anyway, so I guess the official release dates don’t really matter anymore. So far, we can’t complain. Indeed, we received some very nice critics from Germany, UK and other countries and it always feels great to find people who appreciate what you are trying to do. These kinds of things prove you that your efforts are not for nothing, and if we can make some people happy when they put our records on, that makes us very happy too. The record surprised me because it sounds so heavy! Was it something you specifically focused on? Surprises are always good, aren’t they? On the other hand, no we didn’t focus on anything specifically; this is just what came from us naturally. You probably know that almost the entire line up of the band changed in the last few years, and with the current line up, we sound more complex, more deep and more heavy. It was also a natural development, because ideally, you are constantly moving towards something through your career and life in general. In our case, this move is not towards being more commercial or successful as it sadly happens to many bands, but towards being able to express our feelings in a more and more sophisticated way. This is where we stand right now, and I’m sure it’s still far from the end! Do you have the same problem understanding that cover?? Well, thank you very much! I have to mention here, that Adam, our great friend who plays drums on Music For Animals and whom we wrote the album together with helped a lot with vocals. He was there with me at the studio almost all the way and supported me with lots of great ideas, plus did some pretty awesome background vocals himself too. What you hear is the product of our work together and I’m glad that it seems to catch other people’s attention too. Does this “heaviness” represent something specific as well in the “concept”? Is their any “concept” at all by the way? If a concept means that we decide in advance that we want to write an album that will sound like this or that, then no, there is no concept. All we focus on is writing music that each of us will like in the end, no matter if it’s a fast paced rock song like Cleaver or a darker, more complex track like The Murder Of Socrates. All that matters if we can all approve and feel good about each number that’s on the album, we don’t care if it fits into a concept or not. Yes, I think you got a point there! That’s how it all comes together in the end. Our guitar players are into very heavy stuff, Attila is a real black metal guy and even if he listens to something more digestible, it will be still complex like Pink Floyd or Peter Gabriel, while Tomi listens to anything from Lamb Of God to Slayer. They are responsible for the musical background, and I’m trying to put something on top of that, which matches more my own roots, which could be anything from Ozzy to AC/DC or the 90’s rock and metal from Faith No More to Monster Magnet. And Music For Animals is what you get as a result. Yes, it does indeed. We’ve always been sarcastic, I guess that’s justthe way how we are trying to survive the world around us. Other than that, it’s very hard to describe what the lyrics are about. God forbid that I want to compare myself to your great poets, but just for the sake of the example: can you tell what the poems of Rimbaud or Baudelaire are in general? I guess not. Each one is different and each one has its own story. Also, I guess the best is not to try to explain what I was thinking when I wrote the words. I’m just trying to “paint pictures” with my sentences and I hope that they will induce some thoughts in the minds of the audience too. Is Superbutt a “political” band? No, we’re not political because we believe in the supremacy of art over politics. As an artist, I resent the idea of wasting our time and energy on getting involved in subtle fights for money and power. Politicians and their parties come and go, music and arts are forever. On the other hand though, there are certain traditional values that we are always proud to stand for, and thus we were happy to play a big anti-racism festival in Budapest two years ago and supported Amnesty International in one of their campaigns too. But I think promoting the cause of “liberté et égalité” should be natural to any civilized human being, so I wouldn’t call ourselves political, just because we do it too sometimes. Do you think music has the power to change things? I mean on the field? Yes, it definitely has and that’s why you have to be very careful not to use this very powerful weapon for the wrong purposes! And there’s one more important thing to remember: who are we to tell people what to do or think? What should make us believe that we are the possessors of some kind of truth that we have to preach to people? We’re not prophets (but then again, who is? ), we’re observers trying to describe what we see around ourselves, and thus hopefully help people to form their own opinion. Oh, don’t even ask me, I’m embarrassed enough… Anyway, let’s just say that our politicians are nothing but a shame, but they will soon finish their course because these kind of people are always bound to fail. They will too. But well, like it or not, it’s nothing new in history, sometimes narrow minded and power hungry people get behind the wheel (look at George Bush in the US back in the day for example), but sooner or later they prove how incompetent they really are and they will be forgotten as quickly as they came. OK, enough said about politics: are you going to play some live shows in France to promote the record? Yes, hopefully we will. As a matter of fact, we just played tow shows the weekend before I got your questions and we had a great time as always, so we are looking forward to going back as soon as we can. And how would you describe Superbutt on stage, in 3-4 words? Do you think it’s necessary to see the band on stage to fully understand its music? I certainly do hope that our live shows are more than just simple presentations of the songs you already heard on the albums, so yes, I think we can say that whoever likes our music from the records, won’t regret if they come out to a concert too. Thanks to Eric and Dirty8 for the interview!